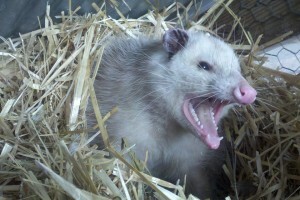 Fear you may have an Opossum problem? We at Animal Trackers Wildlife want to make the entire process of identifying and removing nuisance wildlife simple for you. 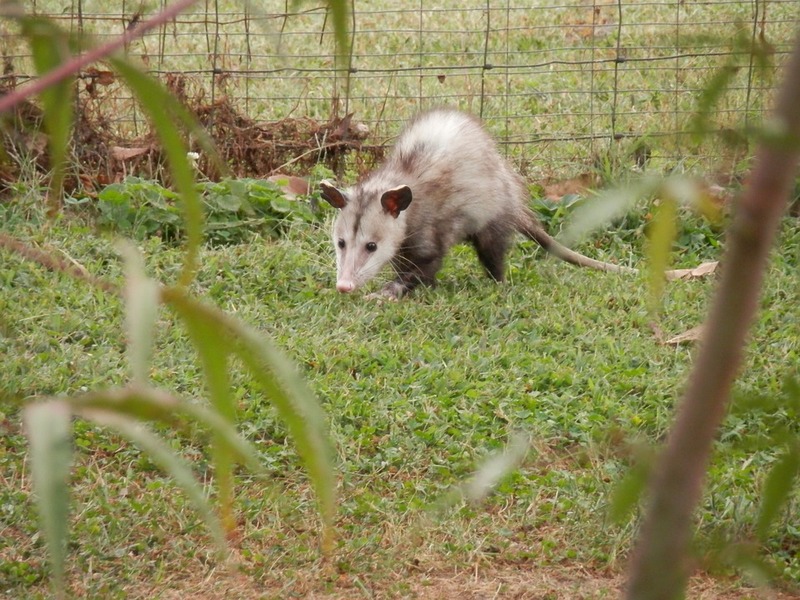 Below you will find helpful information to help you correctly determine the species of wildlife you may be experiencing, as well as health or property risks commonly attributed with Opossums. The chances are that wasn’t a cat the size of a rat you just saw; that was probably an Opossum. Opossums are the only marsupials(A Marsupial is an animal who carries their young in a pouch) in Illinois and all of North America. They are recognizable by their gray fur that is tipped with gray or black. They have long, narrow snouts that hold 50 sharp teeth, pink noses, and bare ears. Their whitish face is capped off by the black inside of their ears. Their tails are those most widely recognized feature because it is nearly as long as their body and appears hairless. 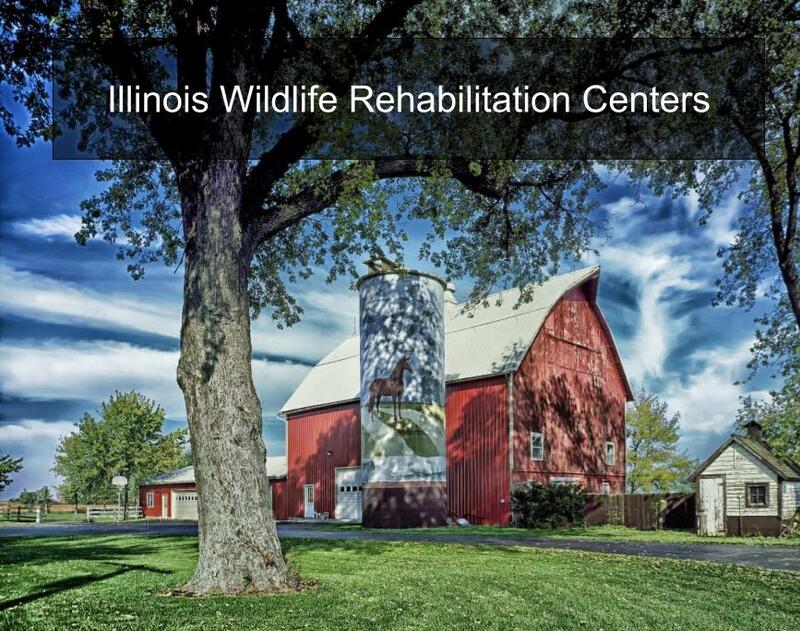 Opossums have become highly adaptable in Northern Illinois; particularly throughout Cook County, Kane County, DuPage, County, Lake County, and McHenry County. 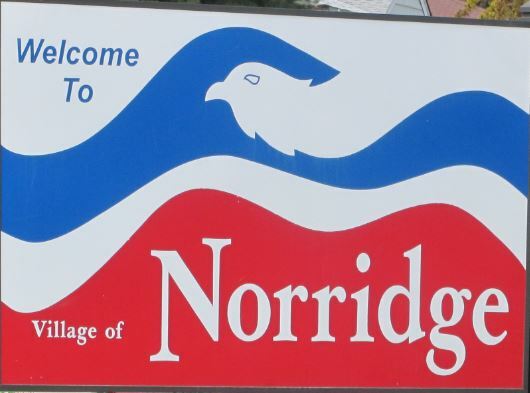 They are nocturnal by nature, so you are more likely to see them at night. They are naturally passive and evasive creatures, but when confronted will attempt to scare away a predator by baring its teeth and hissing. If that tactic proves ineffective, they will “play opossum,” or play dead, and may even release a stinky green fluid. You see, Opossums don’t actually build their own shelters, or nesting places, they often just make themselves comfortable in existing structures such as sheds, old buildings, and under patios. Opossums are equally opportunistic eaters, as they are omnivorous scavengers. This means that they will eat just about anything edible – plants, meat, trash, etc. They most commonly eat such items as insects, berries, vegetation, worms, bird eggs, frogs, roadkill, and other dead animals. 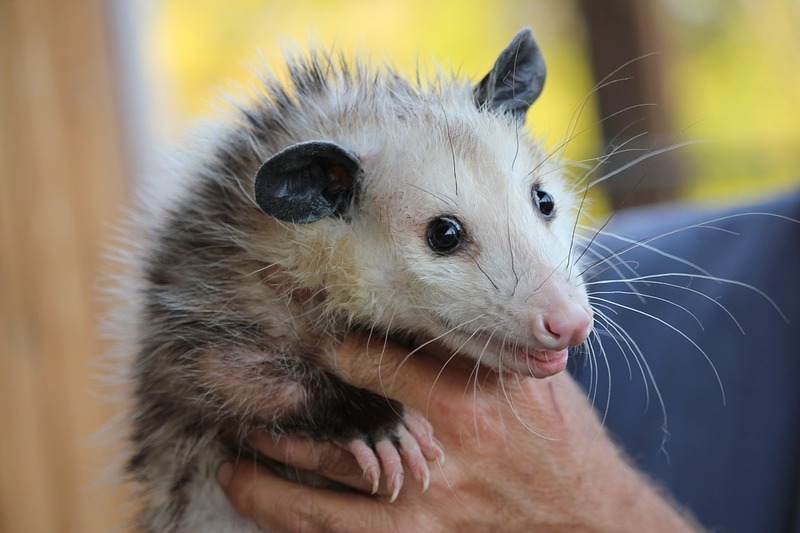 Opossums are not an immediate health hazard to humans. However, they are carriers of parasites and other diseases. Opossums are also a concern because they will get into your garbage, bird feeders, pet food, garages, sheds, etc. 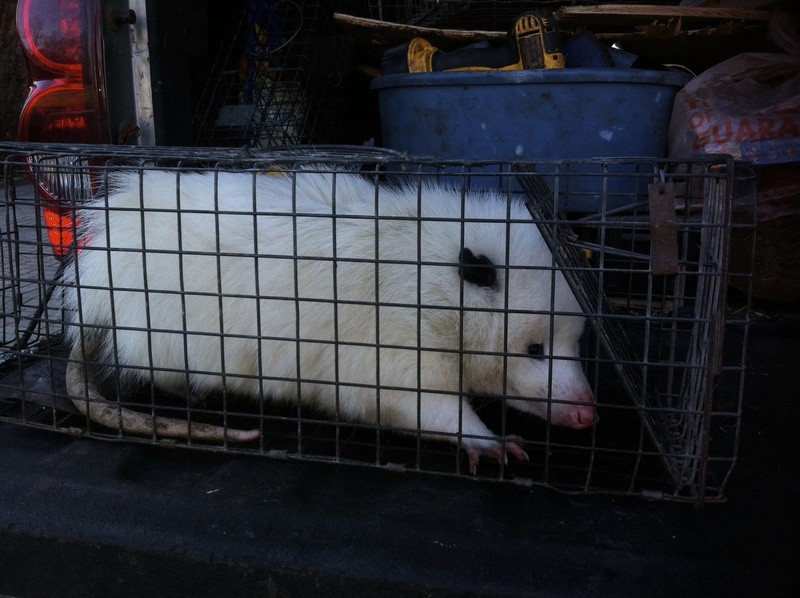 We at, Animal Trackers Wildlife are highly trained and qualified nuisance wildlife removal professionals that are experts in or field. When dealing with Opossums, leave it to the trained professionals.